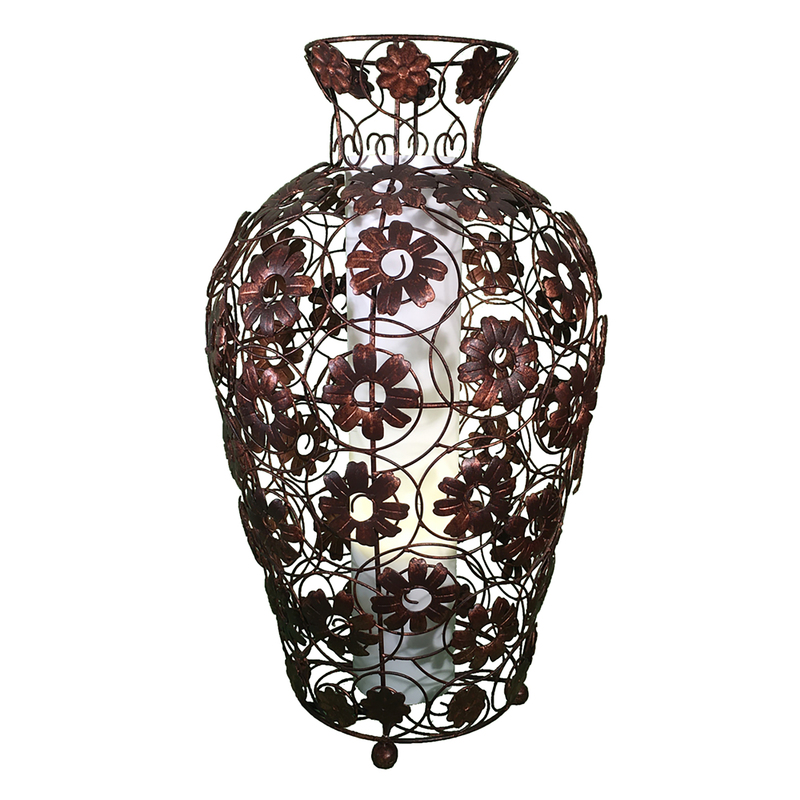 With an abundance of handmade metal flowers and a rusty colored finish this lamp works will in both traditional or contemporary settings. Holding a true garden feel, this piece adds design and sophistication to any outdoor space. 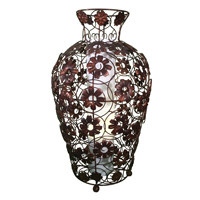 Features hand welded wrought iron body with a cylindrical inner diffusor.